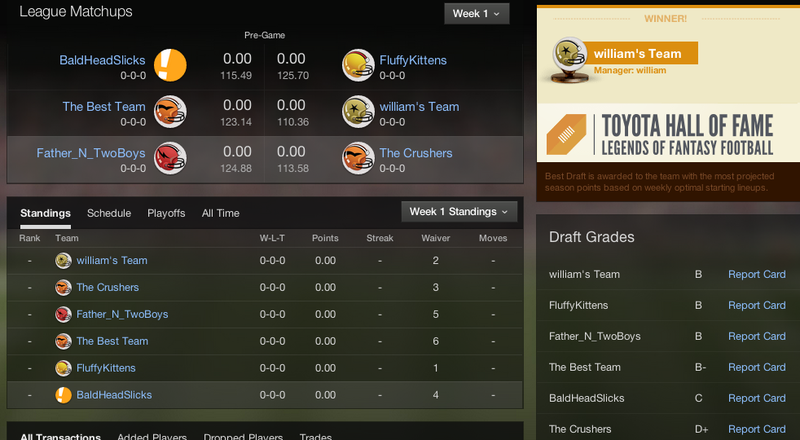 Finally we have some players in the CSD Fantasy Football League! I hope this is a great way to have fun with the kids and add some new spice when you are all watching the game. 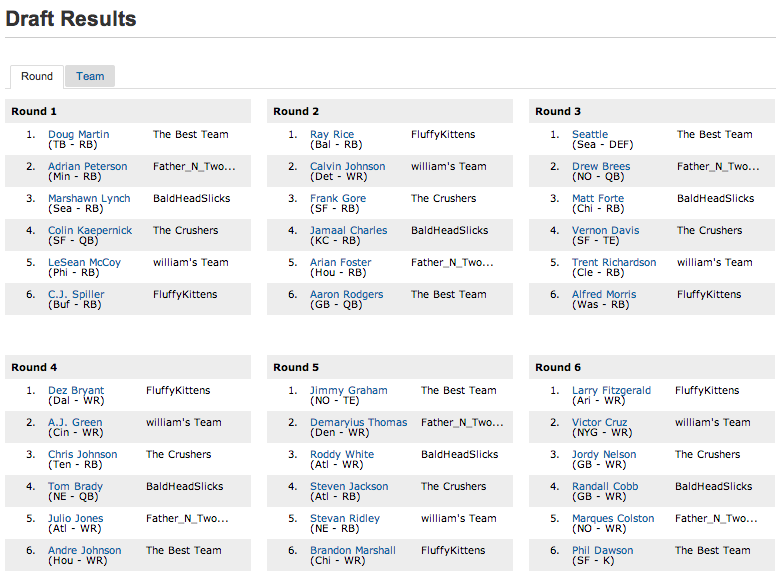 Below is a listing of how the first six rounds played out, the teams and how Yahoo graded their draft picks. Unfortunately, I know the Baldhead Slicks, The Crushers and The Best Team didn’t participate in the draft because their dad committed to playing softball just before the draft date, so he had a game (okay, that was me). So my kids learned already that sometimes, you’re a victim of things you just can’t control. You know, like the Lakers not getting Chris Paul because of David Stern. Best wishes teams! May you all play hard, but I hope the Bald-one gets bragging rights in the end.